MIDLAND/ODESSA, TX | Brian Andrews, Texas Thunder music festival organizer, announced a special toll-free number (877-569-7767) to accept donations for those affected in the West, Texas tragedy. In addition, donations can be made at www.texasthunderfest.com. “We live in a strong community but need continued financial support from those beyond our walls to rebuild our city. We are so thankful for Herb Graham and all the Texas Thunder organizers for what they are doing. It is just the beginning of a long journey to raise the funds needed,” says West, TX Mayor Tommy Muska. In West, Texas, 14 people were killed, with more missing and injured. The cause of the explosion that took place at a fertilizer plant is still under investigation, but a story is beginning to emerge of a company that cut corners and failed to file accurate reports, and government agencies who were clueless on what was taking place. In addition, the West, Texas Volunteer Fire Department received a fire engine from Siddons-Martin Emergency Group of Houston, a Pierce fire tender/tanker from Pierce Mfg., Freightliner and Siddons-Martin, and another engine is on the way from Berwyn, PA. West VFD is still in need of a Ford or Peterbilt chassis for a large grass/brush truck and many additional firefighting supplies. 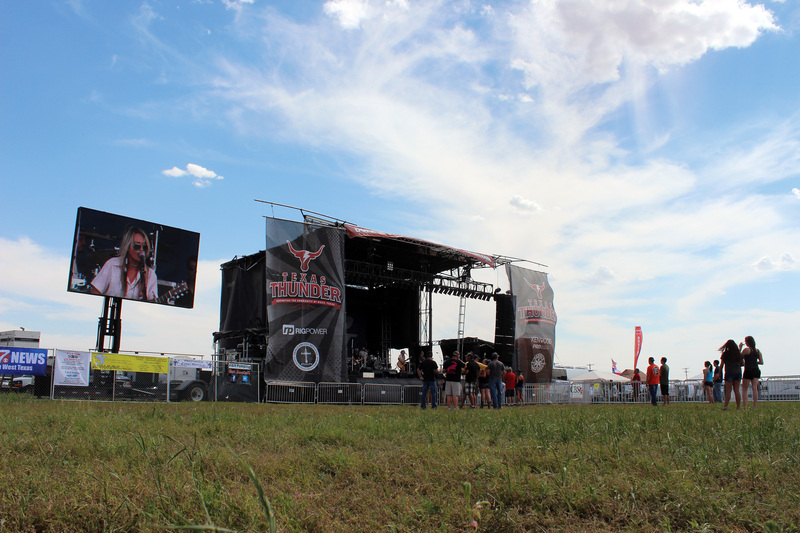 The first-year Texas Thunder Music Festival in Gardendale, Texas presents an all-star, all-Texas line-up, with both musicians and fans coming together to help bring support to those who need it most. Weekend passes are currently available $80 with camping priced at $110. A very limited number of single-day tickets are available for $40.